Hi y’all. Just popping in for a quick minute to let you know that baby girl is a month old now and doing very well! She is such a sweet, easy-going baby and we are so in love. Of course, it’s all about her right now. Eat, sleep, change and repeat. Man, everyone told us that we would need a ton of diapers, but I don’t think anyone explained the collateral damage diapers!! You know, the ones that never actually make it ON the baby because they are getting dirty catching stuff coming OUT of the baby WHILE you are changing the baby. Man … a case of 100+ diapers gone in less than 2 weeks?!?! What the … what?? LOL! But, it’s all good as she’s so worth it. 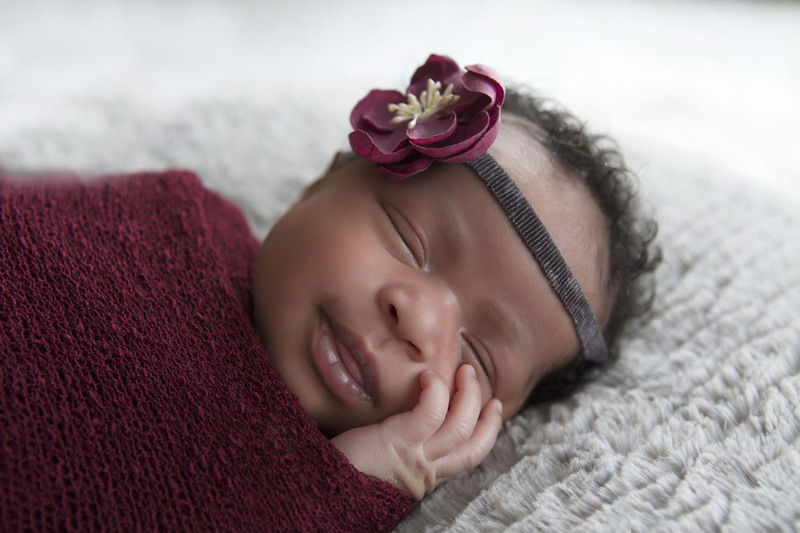 Of course, this laid back demeanor is possible because baby girl is such an angel and Mommy is getting PLENTY of sleep as Pops started taking the night shift at 2 weeks (but think we need to switch off sometimes so Pops can get some quality daylight time). Okay, gotta go! But, before I do, here are a couple of pics from our newborn photo shoot! Can’t share them all yet as the baby announcements haven’t been sent. But, once they are, I’ll post more! She is a doll! Congratulations to you and your husband. Thanks for the pictures Shelli! I am glad to see you looking so well and healthy. Your family looks lovely. God is blessing you guys! Oh Shelli!!! She is so precious. Thanks so much for sharing pictures of your beautiful girl with us. Yes, you will literally go through a boatload of diapers for the first several months! Take care! Wow, she is doing great and is too cute. I luv the pictures of you all. Take care & enjoy this moment!! What a beautiful family. 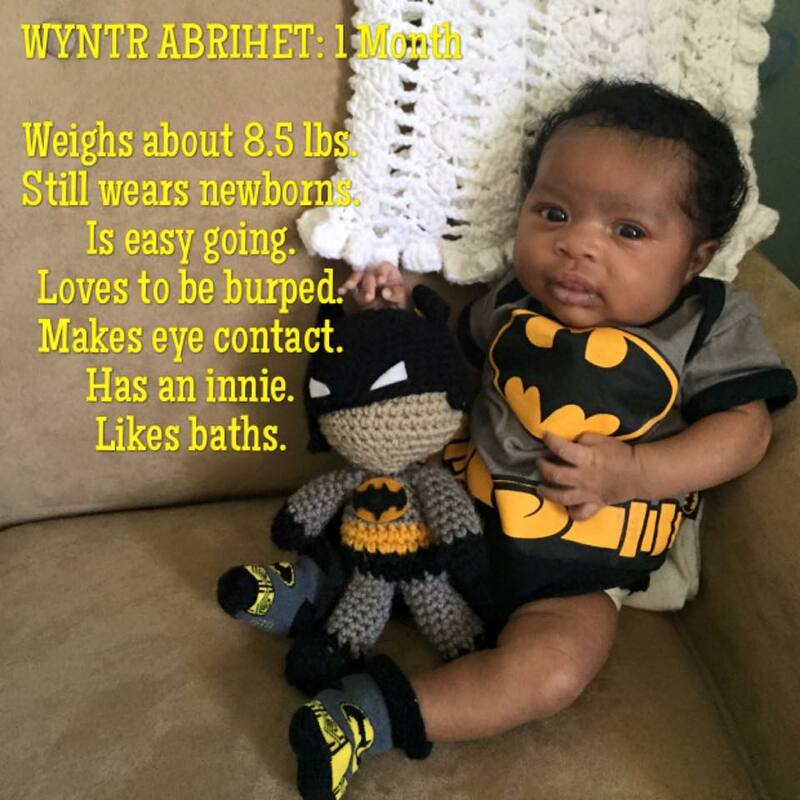 Wyntr is beautiful and she is giving me LIFE in her superhero outfit and her crochet Bat Doll! Go Wyntr! Congratulations! Such a cutie patootie! And love the Batman onesie and you! she’s absolutely beautiful and adorable! Can’t wait to meet her. just discovered your blog and was very pleased that the first picture I saw was of your beautiful little girl. Congratulations to you and I can’t wait to see more of little Miss Wynter! Yea for Weusi taking night shift. Can he tell ALL DADS to do this. Thanks for sharing the photos. What an absolute blessing! Great to know that you’re getting lots of sleep as well. Peace as always. 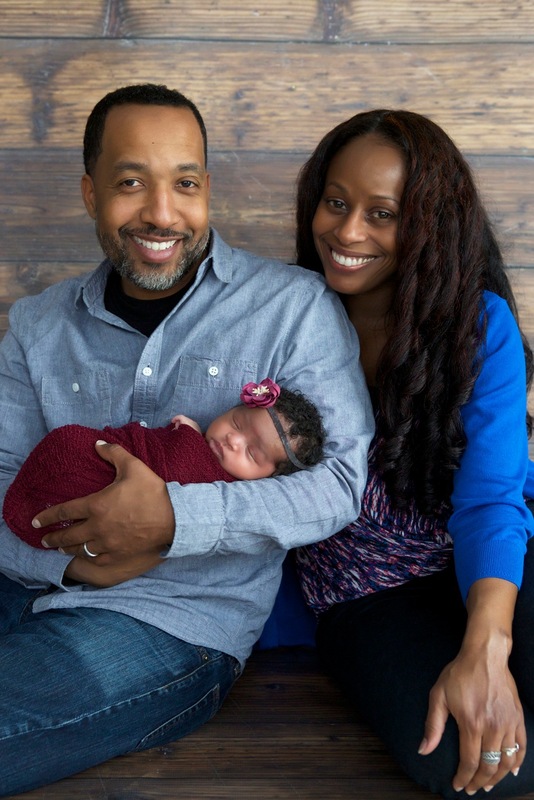 You 3 are a beautiful family!